Austin, TX – September 14, 2015 – Chiron Health, Inc., a leading provider of HIPAA-compliant video visit technology and reimbursement services, today announced that it has partnered with athenahealth® through athenahealth’s More Disruption Please (MDP) program. Chiron Health is now part of the athenahealth Marketplace offerings. Together, the companies will work to link athenahealth’s growing network of more than 67,000 health care providers with the capabilities of Chiron Health so they can more efficiently deliver remote follow-up care through HIPAA-compliant video conferencing. An important companion to Chiron Health’s video visit technology, and a natural extension of athenahealth’s cloud-based billing services, the company has also introduced the Chiron Rules Engine®, an industry-first telemedicine insurance rules database that verifies the eligibility of every patient to ensure telemedicine reimbursement. Chiron Health’s telemedicine offering is now available in the athenahealth Marketplace, allowing athenahealth practices to easily activate HIPAA-compliant video visits in athenaNet. To learn more about athenahealth’s MDP program and partnership opportunities please visit www.athenahealth.com/disruption. Chiron Health is the only platform designed to get physician practices fully reimbursed for secure video visits. 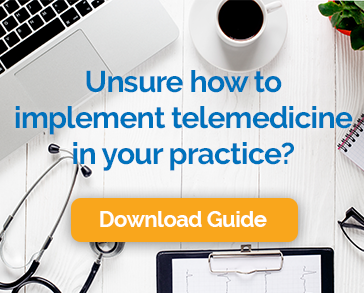 Our extensive knowledge of telemedicine regulation and reimbursement allows us to guide practices through the complexities of telemedicine. The result? Guaranteed reimbursement. For more information, visit chironhealth.com/athenahealth/.